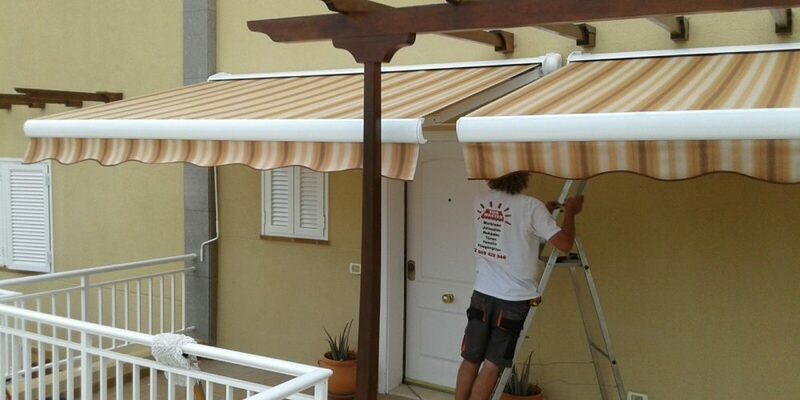 An awning is an absolute MUST for house owners in Tenerife! In Summer time it gives you protection from the heat of the sun, and in Winter time against chilly breezes. A good awning does it all. You choose the exact style, shape, colour and size, and it will be tailor made to your exact requirements. 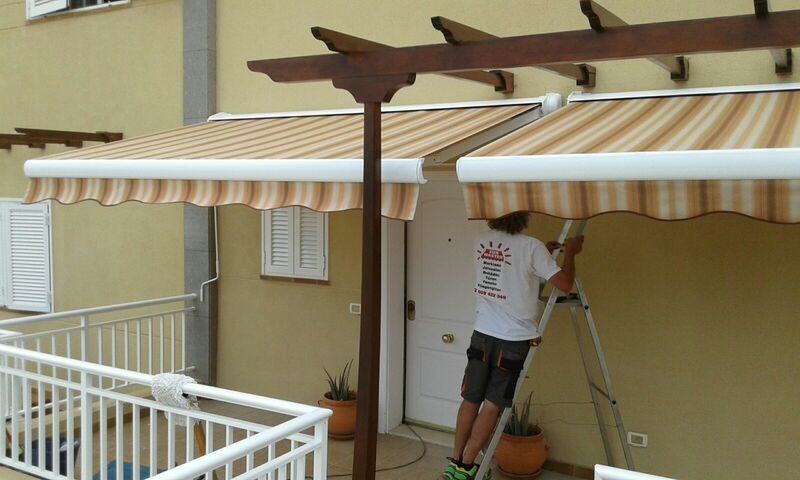 The most important ingredient of any awning is its stability, strength and endurance. The precise measurements and fitting of the awning are paramount. So, during the initial consultation, we take the exact measurements, including a calculation of the angles required for its best operation. If requested, we can fit a motor to automise the awning and you can have finger tip control! Once you have placed your order, we can arrange to fit your bespoke awning within 2 weeks. All our work is personally supervised by the Sunmaster chief technician to ensure the highest quality of workmanship. If the walls or ceiling, to which the awning has to be fixed, are slightly crumbly, we can even solve that problem using special bolts glued into resin. The final awning will be finely adjusted until it fits perfectly and is easy to operate, whether it is manual or automatic. As we are market leaders, we only use thread called “Tenara” known in the trade as “wonder thread”. This thread has a 15 year guarantee against rotting, even in high temperatures or salty air. The metal framework is made of rust resistant aluminium, or stainless steel. The arms of the frame can resist up to 60 thousand movements, which is 8 times more than cheaper brands. The cloth will not bleach in sunlight because it is made of acrylic material. Plus, when we fit a new awning, we can arrange disposal of the old one as part of our service at no extra charge. Hello. I did a search in English….sunmaster blinds tenerife…you came up number 5, so that’s pretty good for a new website! Unfortunately Prestige were number 1, but give it time!